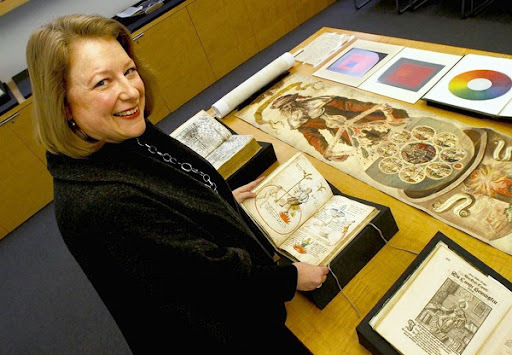 Deborah Harkness is definitely perusing the Book of Shadows here…. Today is the official start for Anne Rice fan month, and I’m really stoked about the upcoming books that will be featured and all types of other assorted posts slightly related to Anne Rice. Some people might ask: Why are you dedicating a whole month to a theme that is pretty recurrent on this blog to the point of inane redundancy? While I have had many blog related to Anne Rice, I haven’t been able to feature other books closely related in genre to Anne Rice’s book either. Sometimes, I feel like other writers have gotten the cold shoulder with the myriad number of reviews I’ve done for Anne Rice books. At the same time, they are the posts that I feel most excited about writing. How do you combine both that enthusiasm and willingness to showcase other titles? Eventually, I felt like I struck gold with my idea to have another blog theme in the same vein as my Zombie month. Through this, I wanted to explore titles that share some similarities with Anne Rice’s books, yet the authors have their own distinct style. How did I ever find myself falling irrevocably in love with this book? 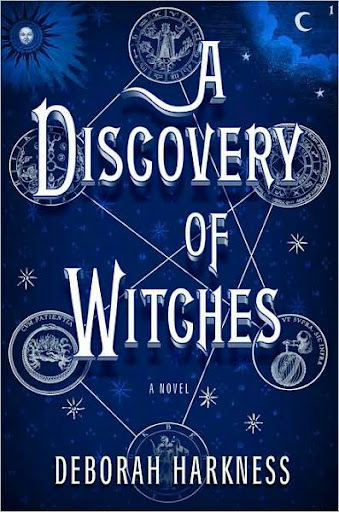 Admittedly, this book and I shared a deeply complicated relationship much like the two alchemical forces that the dynamic characters of both Dianne, a historian endued with magical senses, and a seemingly over-dominant vampire lover named Matthew represent. From the beginning, this book had the duplicitous trappings of a very bad Twilight fan-fiction. It was this part of the book that had me inwardly groaning and reproaching myself for endeavoring to read something that felt like a new version of Twilight. For the inner vampire purist, I especially did not like the fact that the vampires indeed were able to walk in the sunlight. This perturbed me greatly because I am fervidly attached to the model of the classical vampire that always must have an aversion to sunlight. What is this author doing? How could a historian, with great credentials, succumb to the temptation of redoing Twilight with a witch that acts familiarly like Bella Swan. From the crop of reviews on Amazon, this was the consensus among many readers. They felt like it was Twilight repackaged with far too many unneeded, decorous details about wine, Oxford architecture, a deceptively simple plot, and overcomplicated genetic details that try to provide a hypothetical, scientific explanation for the daemons, vampires, and witches that secretly try to coexist uneasily in the world. I nearly abandoned this book because the beginning felt so reminiscent of so many other works. It really is an easy novel to stop reading altogether initially,while wading anxiously through the first hundred pages or so. I really don’t know what ultimately happened, but my feelings about the book were transmuted into a more assured positivity. Once the subtle fragments of a story trying to ambitiously move through the formative stages of the mundane beginning began to fall into place; the magic of the novel just miraculously took over and completely overwhelmed me. This was an anomalous experience to have a novel completely surprise me after the unexciting, pedantic beginning. This is a very rare occasion for a novel to shift gears and suddenly become a thoroughly engrossing experience that completely overwhelms you with its precise details, evidence of exemplary historical research, and truly complex plot. 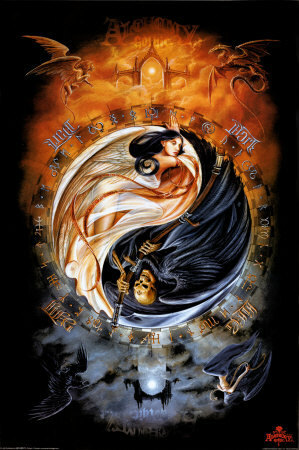 By the end, both Diana and Matthew, the former Twilight caricatures, suddenly began to have more life and nuance. At about page three-hundred or so, I was racing through the novel at a relentless pace that was even more rare for me. (Actually, The Night Circus was the only other novel this summer that I felt offered a thoroughly engrossing literary experience). Did Deborah Harkness purposely begin the novel with a mundane mood with a slight mix of eccentric magic in order to convey to us the dryness of Diane’s pursuit of a life that wholly ignores her witch dimension? When she begins to realize her magical powers, this is when the novel begins to become enlivened and rich, as though we’re vicariously experiencing her excitement over this very new, yet apprehensive discovery. Whether this effect was intended or unintended, I completely marvel Deborah Harkness’ talent in really providing readers with a clear foil between the world void of magic and the world that is filled with abundant signs of magic. Maybe, Amazon reviewers who reviewed this book tepidly never got beyond the mundane beginning to experience the awesome alchemical shift to a much more brilliant and enthralling novel. In about a week, I managed to read 581 pages. Coming from someone who is a chronically slow reader, 581 pages in one week is truly a very fast pace. While writing this, I am still in awe with how fast I read the novel that all my GoodReads and Twitter followers saw early signs of pure disgust with the novel. My experience with this novel was certainly much like Eustace in the Narnia book Voyage of the Dawn Treader,where he initially is unimpressed by the magic of Narnia, and fails to be edified by it. Through a epiphany that naturally resulted from a deep experience with the elements of Narnia, Eustace is then changed completely. 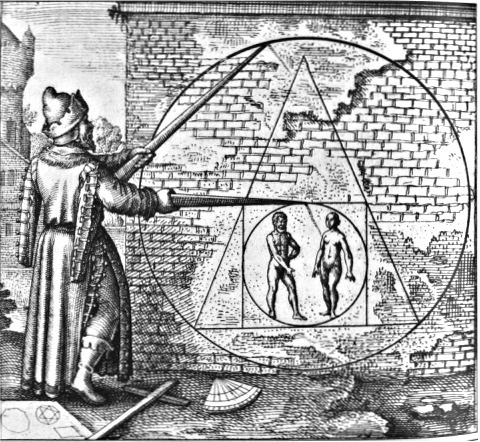 This is called the process of “literary alchemy.” It is the staple process that all richly dynamic characters undergo, in order to experience profound inner change. This often parallels our own true experience with the mutable quality of the feeling of our lives. Diane experiences this kind of alchemical experience, and I happened to go through it as well in terms of my opinion of the book. For all reluctant readers of this book, I highly recommend you try reading it and you might abhor it anyways. Or, you might immediately love it. There is also the chance that you potentially will share my experience which begin with pure revulsion and ended with great admiration for a novel that was meticulously plotted and very well-written. On another note, if you are a vampire purist, I dare you to step outside those dogmatic boundaries and try being open minded about other interpretations of the “vampire.” Personally, I sometimes get a bit frustrated with the mental stalemate some readers find themselves in by placing legalistic restrictions on books that are fantasy and Sci-Fi. Yes, I initially felt a bit frustrated with the “purist” laws that these vampires in this story broke, but I felt it also matched the book’s theme of nature and magic being elusive and thus surprisingly defying all our futile rules and restrictions. If you haven’t already, I highly recommend you read this book, and watch the author give us a glimpse of the world of Oxford that inspired her to write this novel!! Next Post Electric Angel Graphic Novel…A Very Real Possibility! !